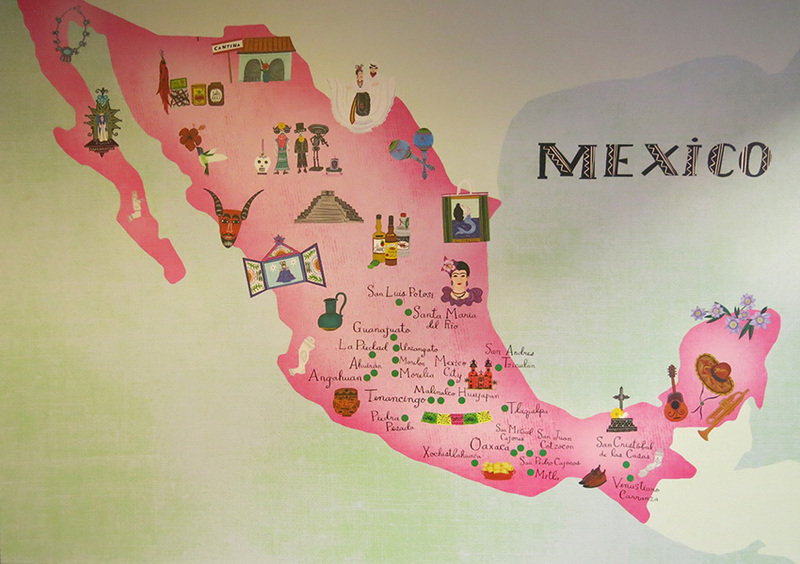 Art and fashion lovers the world over are inspired by Frida Kahlo, yet few will ever have travelled to Mexico. 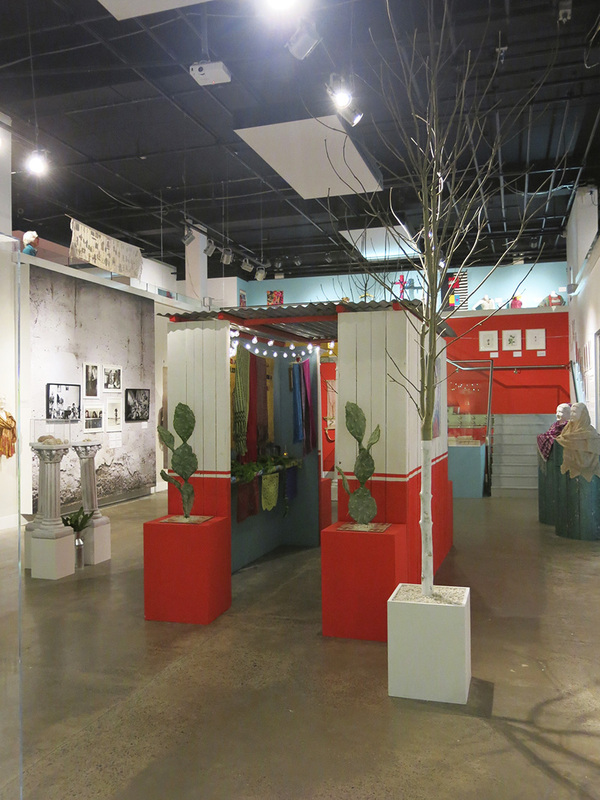 Now there’s a chance to get a taste of genuine Mexican style in London, by visiting Made in Mexico at the capital’s Fashion and Textile Museum. 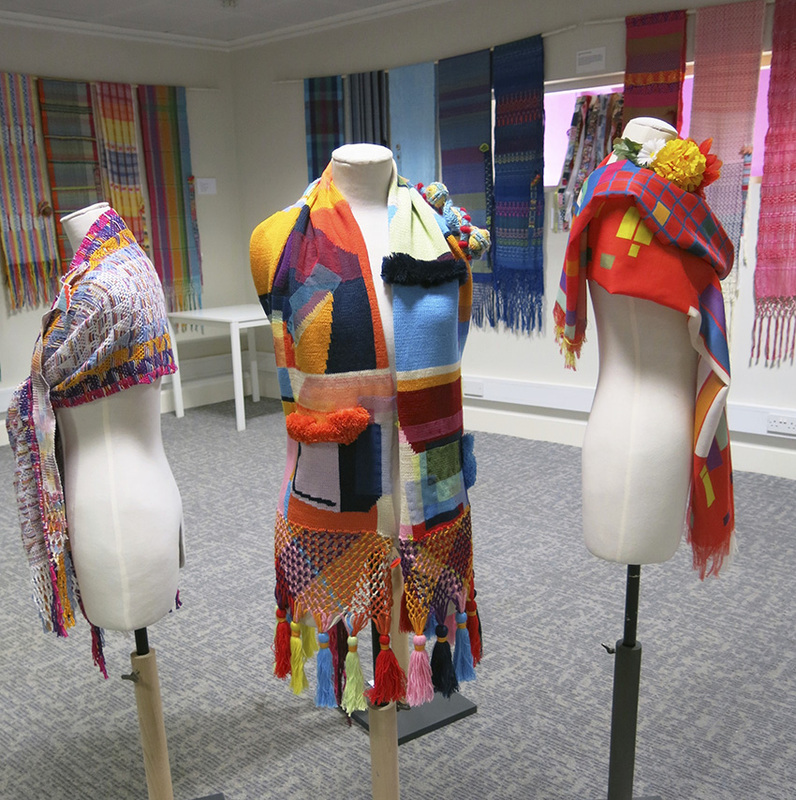 The colourful new exhibition on the art of the rebozo showcases the classic shawl, woven in Mexico from the 17th century to the present day. In Castilian, the word rebozo refers to the act of ‘muffling up’ – covering or protecting yourself. 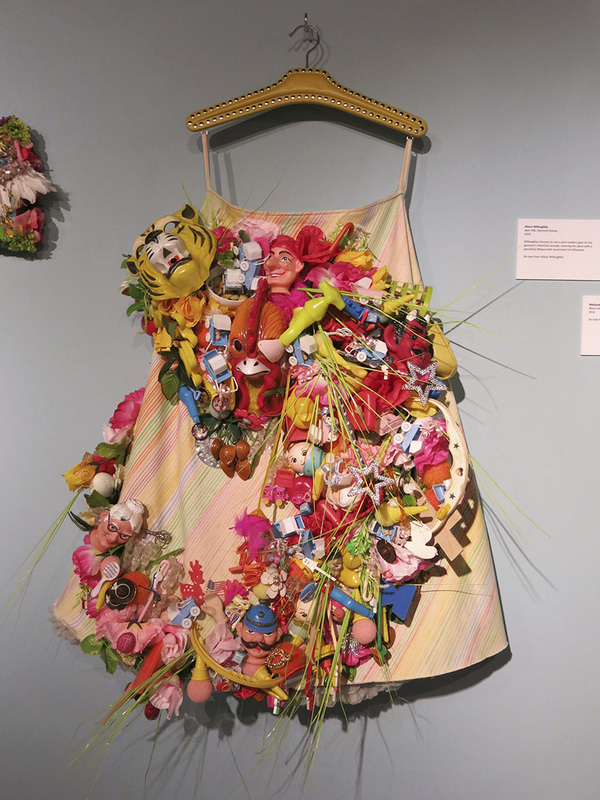 The garment has become a symbol of Mexican culture and identity linked to family memories and heritage. 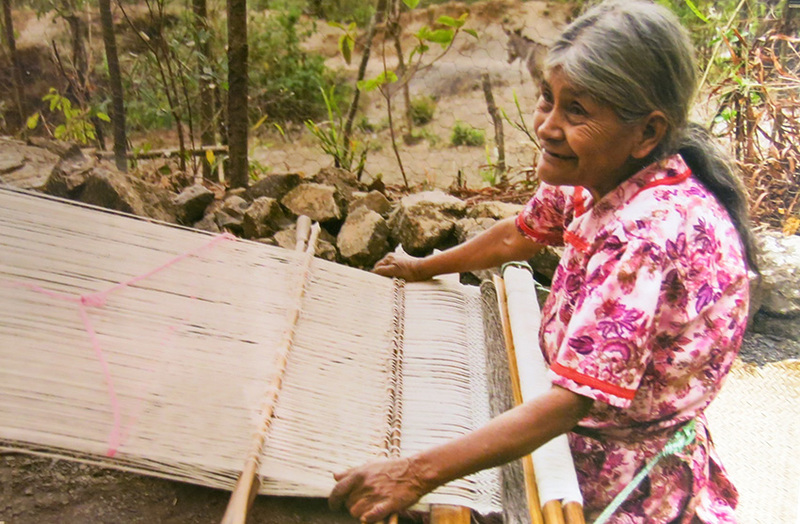 Rebozo scarves are also celebrated for the indigenous craft skills involved in their production. During the colonial era, the making of the rebozo was encouraged, but different communities developed their own weave and style of rebozo. 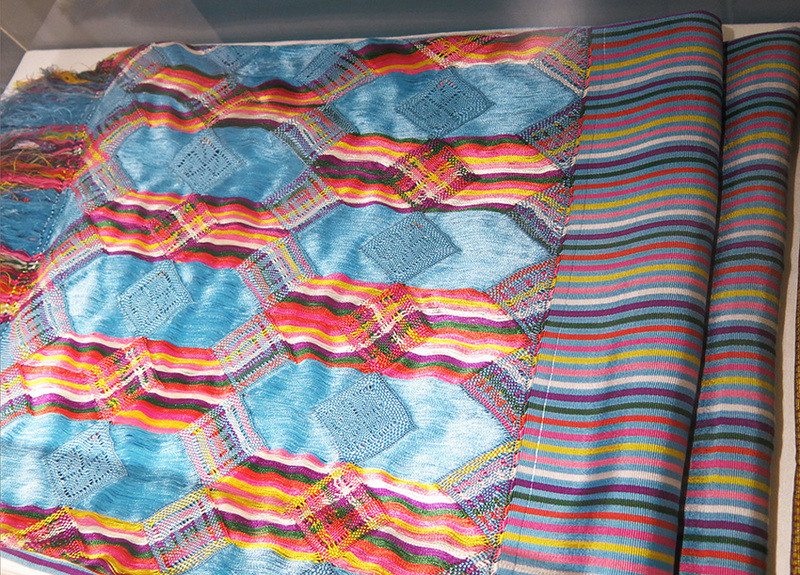 Ikat (japse) is a technique of dying a pattern on threads before they are woven and is the best known style of rebozo. 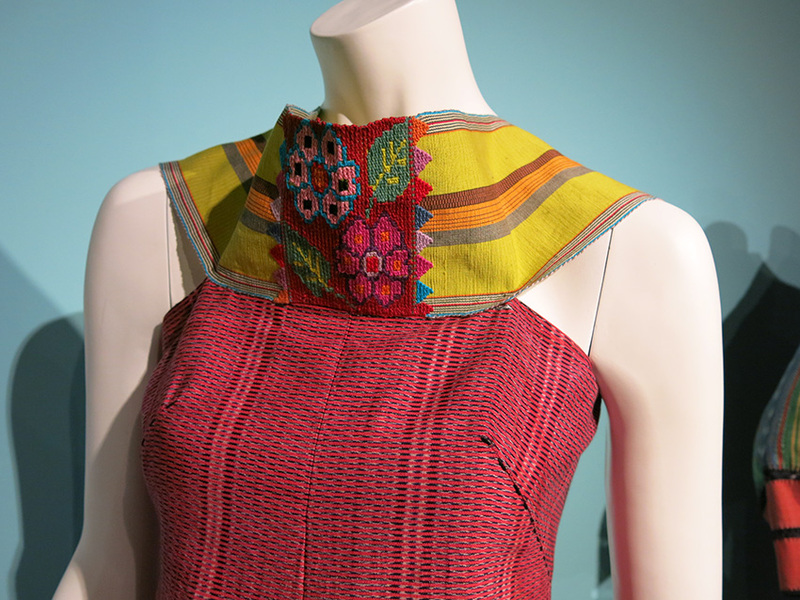 This comprehensive show outlines the history of the rebozo, with examples from private collections and museums. 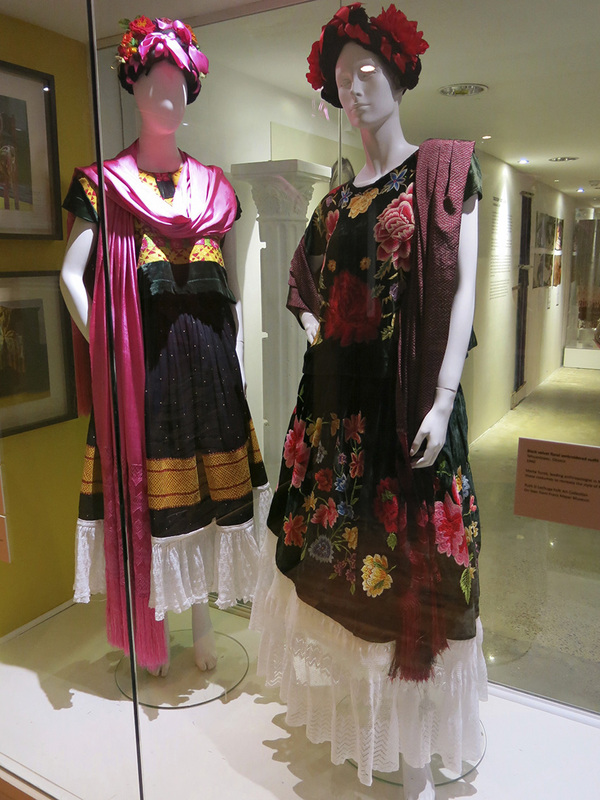 There are displays on how the garment is used and worn, portraits of famous enthusiasts, demonstrations of weaving techniques and a section dedicated to over fifty new works created in response to the rebozo and Mexican textiles. In Mexico, the rebozo plays a part in every stage of the journey from birth, through childhood, courtship and marriage to death and mourning. 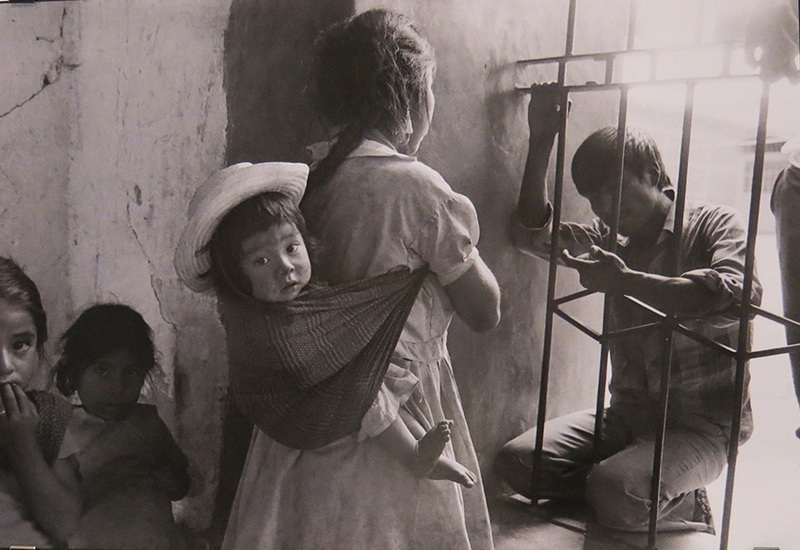 The rebozo’s adaptability allows it to be wrapped in a number of ways to accommodate the child as it grows. 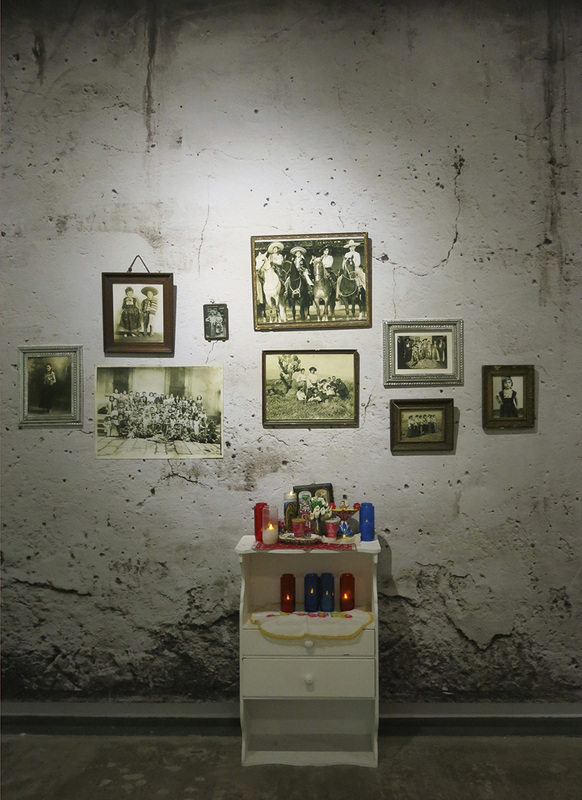 Aroma de luto is a herbal and floral infused death shroud woven in the city of Tenancingo. This was traditionally used to wrap the deceased for their journey to the afterlife. Frida Kahlo embraced traditional costume in solidarity with the labourers of her country and is the rebozo’s most famous model. 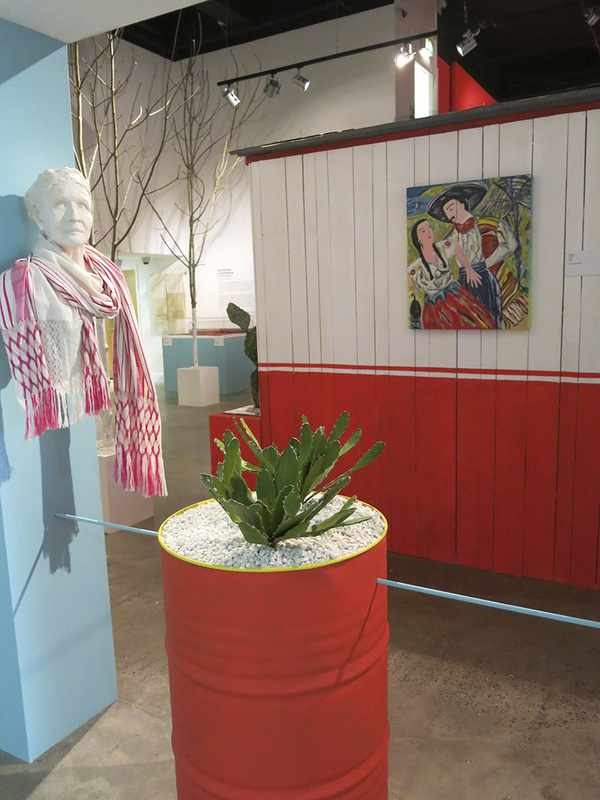 Marta Turok, a leading anthropologist in Mexcio, has selected some costumes to recreate Kahlo’s authentic style. New interpretations of the rebozo include Bajo tu amparo ‘Under your protection’ in rayon and sequins by Katina Riba and rebozo inspired fashion by Alison Willoughby, Carmen Rion and Carla Fernandez. 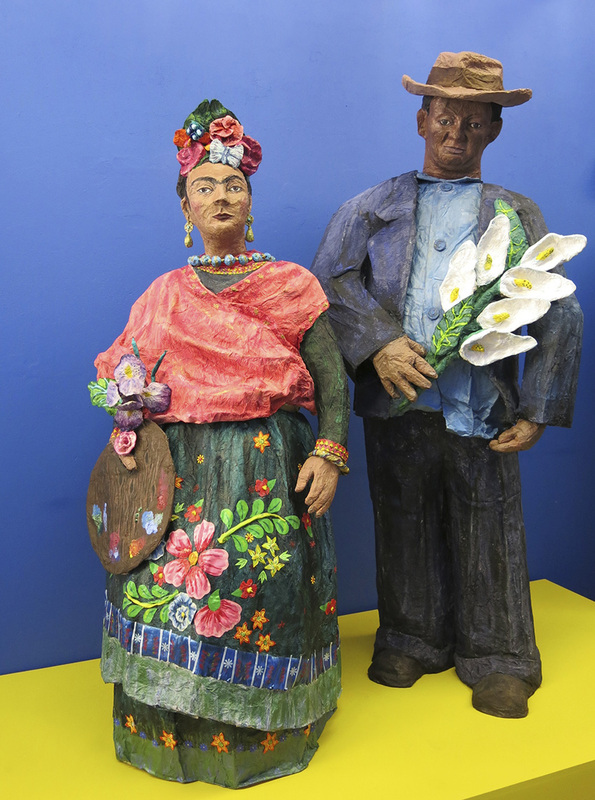 There is also a section dedicated to work by the artists of Oaxaca and a presentation of works from a contemporary student cultural exchange project. 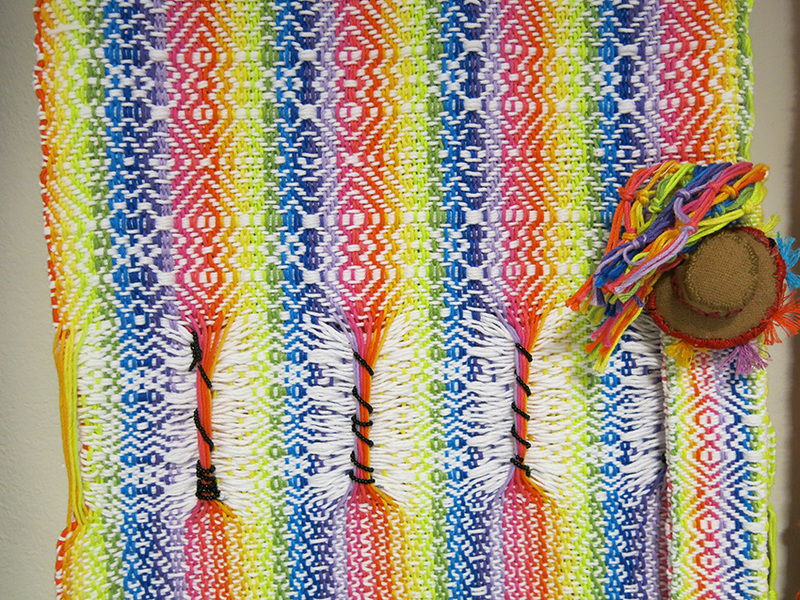 Over a hundred textile students at Chelsea College of Art and the Universidad Iberoamericana in Mexico City were asked to respond to a brief ‘Mestizos – a mix of culture’, interpreting the rebozo as a representation of Mexican culture, encompassing architecture, art, folklore and literature. 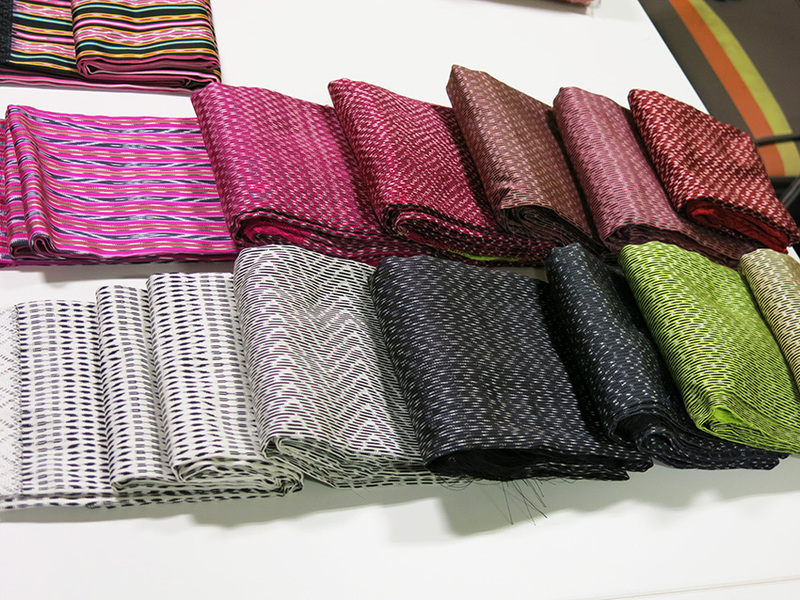 The stages of manufacture include winding, placing the threads, picking, starching, tying, soaking, dying, untying, pointing, interlacing, sizing, weaving and fringing. 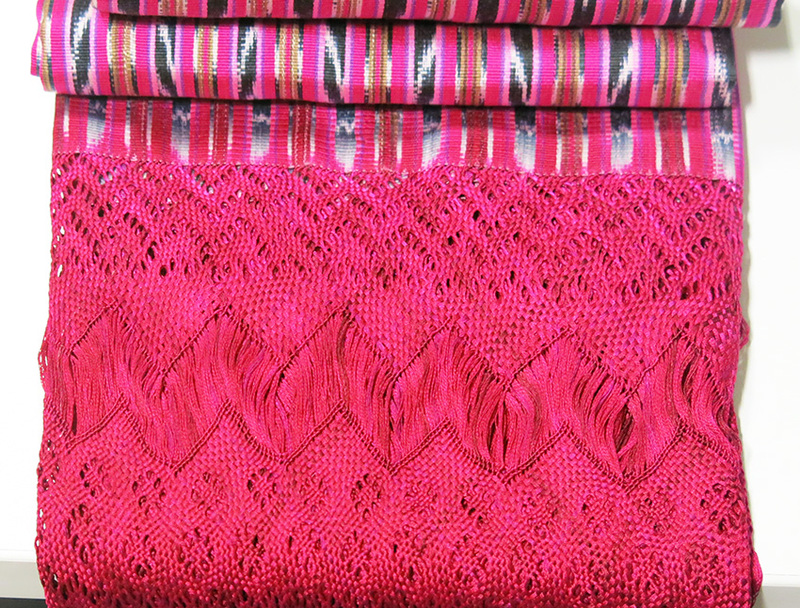 Rebozos are usually woven on back strap looms, adapted from the earliest examples used before the Spanish conquest. Hand-knotted fringing and other parts of the creative process is often done separately, by specialist artisans called empuntadoras. Original natural dyes include cochineal, crocus and indigo. 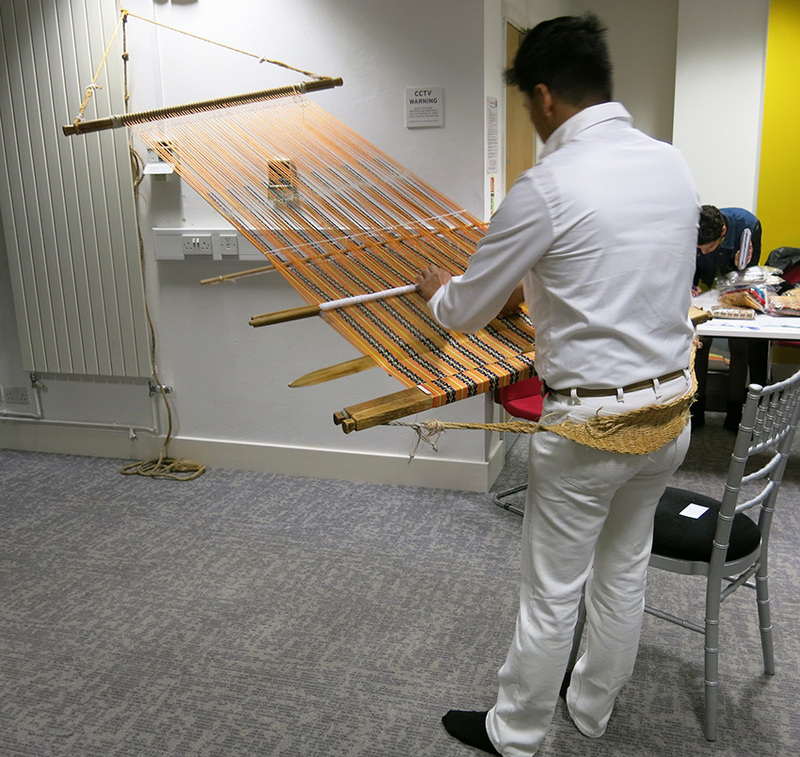 Arturo Estrada Hernandez, a Mexican rebozo maker, brought his back strap loom to the gallery, along with some of the fabulous rebozos he has created. 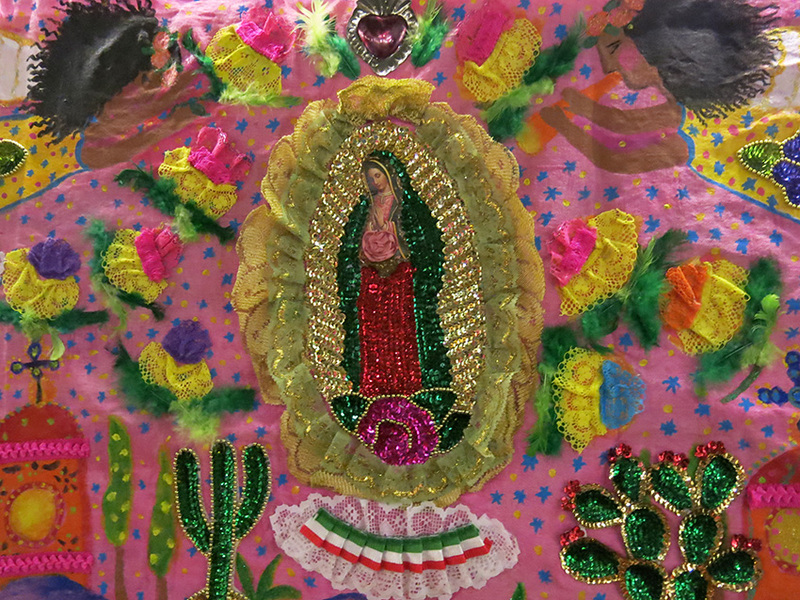 These highly prized items command a price to match, but some more reasonably priced Mexican scarves and gifts can be found in the museum shop.